In 2002 I received from the Turin Teatro Regio – under the artistic direction by Marco Tutino – a commission for a ballet for young adults. The performance placed the next spring at the small theatre below the great hall, usually used for the Opera. The score was written for ten instrumentalists and lasts about 1 hour, with choreography and stage direction by Giovanni Di Cicco. I was also the conductor of the ensemble for the recording used in fourteen scheduled performances and that is possible to listen into this recording. I immediately looked for a subject, but I did not struggle too much. I recalled to my mind a well-known story, but incredibly almost unknown to musical theatre: the ancient legend of “The Pied Piper”, which became the title of my work. It was my father, when I was very young, to tell me this terrible story that had impressed me so much. Even today I have a vivid recollection of those narratives that he loved to enrich by imitating the Piper, intoning a fragment of a simple invented melody. That musical fragment, heard at an age when I never thought I would become a composer, became the first material for this work. So I dedicated the score to the memory of my father, who disappeared a few months before the performance. The subject derives from a historical fact that took place in the city of Hamelin (today Hameln, Lower Saxony), in 1284: the disappearance of 130 children due to a piper with coloured clothes. The literature sources are much more recent: Goethe (1804), Arnim and Brentano (1805), the Grimm Brothers (1816), Robert Browning (1849), and through Cvetaeva and Brecht up to the present day (Michael Ende, 1993). The story provides plenty of symbols and connections, and each version (poetry or prose, long or short) has slight differences in the way they juggle through them. I adapted the story musically and narratively: musically I structured the typical form of the classical narrative style ballet, with the alternation of solos, pas de deux, choral scenes, etc. (as happens in Petruška, for example), narratively I did a general elaboration of the story towards a form of fairy tales, with a peculiar morality at its end. Here the story: mice infest and dominate the city, and they are partying in wild rave parties; processions of penitents evoke medieval superstition, and their desperation saturates the environment. The Piper is instead a solitary but positive character, who since his arrival in the city establishes a relationship of instinctive sympathy with Children, with whom he plays carelessly. As soon as the Daughter of the Burgomaster saw him, she falls in love. The Burgomaster and Halberds intrude to stop those innocent dances as if they were dangerous riots; two mice penetrate into the scene, but the Halberds can not catch them, despite all their efforts. The Pied Piper petrifies mice with the simple sound of his flute so that they are taken and locked in a barrel. 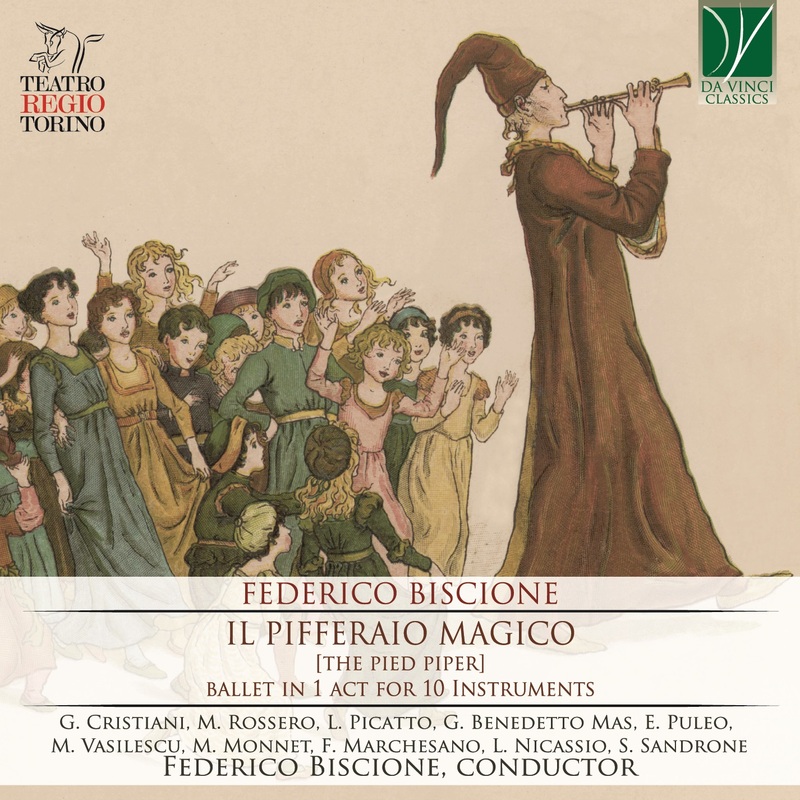 The Burgomaster promises a fair reward if he manages to free the city, and the Pied Piper accepts (in spite of the not completely clear character of the Burgomaster). The next scene is in the girl’s room, which falls asleep full of anxiety for the meeting of the day before. In a dream that is not without troubles, the Piper appears. Close to the river, the Piper is about to fulfil its commitment: like a dervish, with the sound of the flute, it forces rats into the water, where they will be drowned, or cause them to swirl to exhaustion and death. After the carnage the Piper would remain alone in the midst of all those corpses, upset by the power of his own magic. Finally freed from rats, the city is on celebration; various groups of revellers cross the stage but, as in other versions of the fairy tale, the Burgomaster denies the agreed reward to the Piper, and before disappearing to escape an attempt to arrest, he swears terrible revenge. But the vengeance will never take place, in fact at the foot of the mountain where the Piper has taken refuge, the children come, not recalled by any spell. They decided spontaneously to follow the Pied Piper and leave the city, perceiving the inevitable corruption and the unstoppable decadence. The Piper cast now the last spell: at the sound of the flute the mountain opens up, showing a golden underground path, shining with light, which will lead them all over the mountain, towards a new city, a new life. Finally comes even the Daughter of the Burgomaster who hugs the Piper and joins them. The Piper breaks the flute (he will never use the ambiguous power of magic), and when the whole group has disappeared in the blazing passage, the mountain close behind them. In the mysterious and sinister calm that follows, two mice stealthily cross the scene: for them, the reconquest of the city of Hamelin has just begun.